amidst the lush trees and hills of the original jewel of the Las Colinas master planned community. ...... residents to make University Hills all it can be. DISCLAIMER: Neither University Hills Association of Homeowners (UHAOH) nor its agents assume liability pertaining to this web site. Information contained on the web site does not imply an endorsement by University Hills Association of Homeowners or any association with the content or listings on this web site. Content, information or links do not represent the views and opinions of (UHAOH), its officers and/or its members. 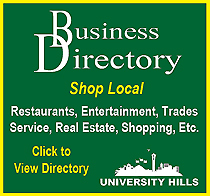 Further, University Hills Association of Homeowners website may include hyperlinks to third-party content, advertising or websites. 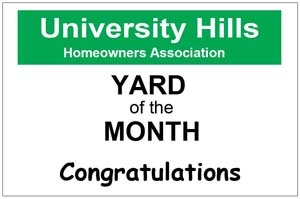 University Hills Association of Homeowners is not responsible for and does not endorse any advertising, product or resource available from such resources or websites. All content is for information purposes only and accuracy of content is not guaranteed. Any user and/or visitor to the University Hills Association of Homeowners web site assumes all risks.